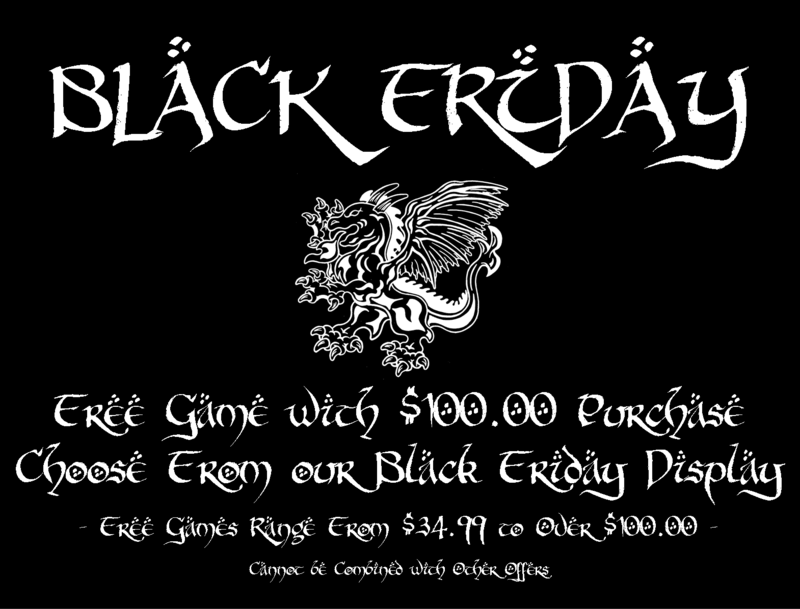 Black Friday Sale! Free game with $100.00 purchase. Cannot be combined with any other offer.